MILK & HONEY 125’ Palmer Johnson New Low Season Rate: USD 85,000/wk + exp. 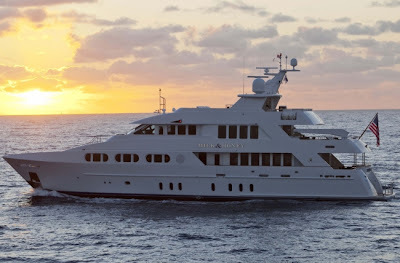 The full-beam master suite on the main deck encompasses a private office, large stateroom with centerline king-size bed, and his-and-her vanities and WC’s connecting to a central steam shower and tub room. Three queen staterooms and one twin stateroom, all ensuite, are located on the lower deck.